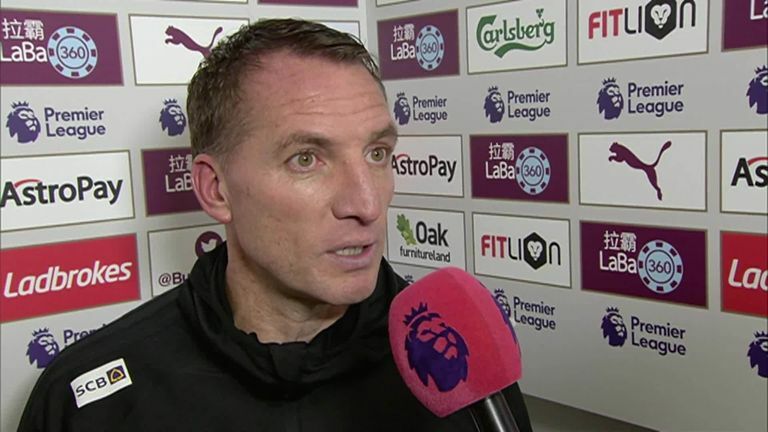 Brendan Rodgers hailed Leicester City's "incredible" 2-1 win over Burnley on Saturday after Harry Maguire's fourth-minute red card at Turf Moor. The England centre-back was dismissed for a last-man foul on Johann Berg Gudmundsson but the Foxes were undeterred, as James Maddison's free-kick gave them the lead. Dwight McNeil levelled and Burnley pilled on the pressure but failed to genuinely test Kasper Schmeichel. 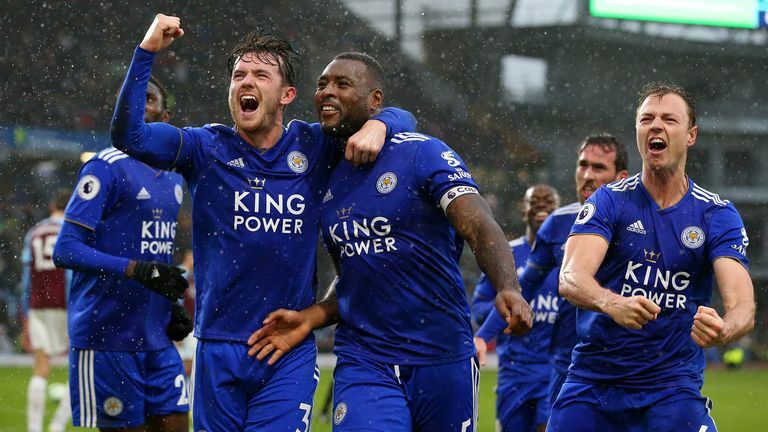 Leicester then claimed the ultimate smash and grab when Wes Morgan, who came on for Demarai Gray after Maguire's dismissal, headed home from Youri Tielemans' deflected cross. The first away win of Rodgers' tenure in charge keeps Leicester in the race for seventh, which could be enough for a place in the Europa League. "Everyone knows how tough it is to come here with 11 men but to play almost the whole game [with 10]. We actually started quite bright in that opening five minutes, but to lose a man and dig in like we did it was an incredible performance of resilience," said the Northern Irishman. "You have to fight, you have to be resilient and you have to be persistent and when the chances come you've got to take them. A fantastic three points. "You see the spirit in the team. The emotion that they show together and they were worth of it." Morgan was named on the bench as Rodgers selected an unchanged side from the 3-1 win over Fulham last weekend. But the captain was soon required and Rodgers hailed the 35-year-old's performance at both ends. "He's done it all of his career," the ex-Swansea City and Liverpool boss added. "Defensively in the box he was incredible. "Him and Jonny Evans were putting their head onto everything and they were certainly overworked in that period and throughout the game. "But you always fancy it at 1-1 and we got a corner late on. They defend it well, it comes out and then Youri whips a great ball in and the big guys gets up and has done what he's done. A great header." Rodgers had no argument with the sending off of Maguire, which will see him suspended for the visit of Bournemouth after the international break. Meanwhile, Maddison reacted to being omitted from Gareth Southgate's England squad for the start of Euro 2020 qualifying with a stunning set-piece to give Leicester a first-half lead. "He is a wonderful technician at a dead-ball situation or sliding passes through," Rodgers said. "He is a wonderful talent. "He's been practising them the whole time I've been here and he puts the work in. It is not by accident he's got great quality and he's got great technique."